The CADWorx 2014 Production Modeling course is designed to help you get the most of this "Next Generation" version of CADWorx. Included are fundamentals, the best techniques to model quickly and accurately, leveraging the new features, and great production drafting/modeling exercises. The CADWorx P&ID Professional course teaches best practices and how to quickly create intelligent P&IDs using CADWorx. The course starts with a P&ID using CADWorx blocks, then shows how to link that drawing to a database. Later, a drawing is created from scratch running with a live database. Topics include setting up drop-down lists, data inheritence for in-line components, proper techniques for editing components, working with the database, producing reports, and much more. The course is designed for beginners, but it has many topics that will be of interest to more advanced users. It is ideal for companies training their designers on the proper techniques for working with intelligent P&IDs. The CADWorx Piping Level One and Level Two courses are for users running CADWorx versions 2012 and older. These courses cover the standard information all CADWorx users should know to be productive and accurate with the software. The level one course includes placing components, dimensioning, Bill of Materials, Isogen isometrics, 3D modeling, and producing clipped views in Paper Space. The level two course is advanced training. It is excellent for those who want to expand their knowledge of CADWorx and explore topics like 3D equipment, structural modeling, customizing Isogen, specifications, and advanced piping modeling. Now you can learn many specific features in CADWorx. All videos come with printed guides you can download. Is your company set on CADWORXS exclusively? 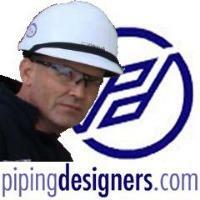 At pipingdesigners.com we have no exclusive affiliation with any particular software or software manufacturer. We do take advertising from software companies, and our policy around that, is that if one company chooses to advertise with us, we will not accept advertising from their competition while their ads are running. In the case of this particular Cadworx promotion, this is not from Cadworx/Intergraph, but from pipingdesignonline.com who are a training provider. They have generously offered to deliver training to members of this site for a discounted fee - something we are always happy to present to pipers! As a piper, it's not really a good idea to be 'exclusive' to one particular software. It's important to gain a good grounding in as many of the widly used products as possible. I'm very exclusive to my paycheck ... and what ever software that entails, at that time!! However, they do have Free Demo Versions (CADWorx 2012 and 2015) that you can download free, which will run indefinitely. There are four restrictions in the software that require some planning, but we do have a number of subscribers using this software for training. 1. You can't save the work done with the Trial Version. You will have model the lesson problems, and take the quizzes at that time. If you're not taking courses, but just accessing the video training library, this trial version will also work fine to learn new features in the software. 2. The software "times out" after 200 steps. This can cause issues if you don't start new sessions every so often. Again, it should not cause large problems in going through the course. 3. The current demo version does not show Isogen isometric bill of materials information or dimension correctly. In the courses, if you need a quiz answer that asks for this we show a work-around so you can progress through the course. 4. The CADWorx P&ID demo (included in the download) will not work with all parts of the P&ID course. The live database portion of the course may not work correctly.